The Practitioner Diploma in Hypnotherapy Course is fully accredited by the General Hypnotherapy Standards Council (GHSC) and has been externally assessed and verified at Practitioner Level. The course has also been approved by The Hypnotherapy Association and is accredited by the ACCPH (Level 4 Diploma Accreditation). 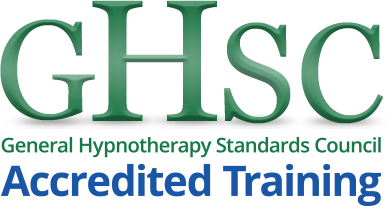 All students successfully completing the course will be able to use the qualification initials Dip Hyp HWHP to denote their commitment to the study of hypnosis. 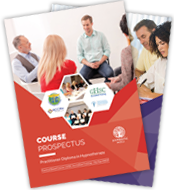 On successful completion of the course students will be eligible to join the General Hypnotherapy Register (GHR) at the full 'Practitioner' status. On acceptance by the GHR and payment of their membership fee students will receive their certificate of membership and be awarded the General Qualification in Hypnotherapy Practice (GQHP). Students registering with the GHR may also choose to become members of the Complementary and Natural Healthcare Council (CNHC) in order to obtain the CNHC's quality mark for practitioners. Guidance issued by the General Medical Council advises that doctors may refer patients to practitioners on Accredited Registers such as that of the CNHC. This course is accredited by ACCPH and allows you to join as a professional member after graduation (Membership Criteria). Students completing the course will also receive 2 years' inclusive membership to the Professional Hypnotherapy Practitioners Association (PHPA). 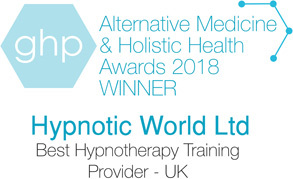 Hypnotic World was the winner of the 2018 award for Best Hypnotherapy Training Provider - UK in the GHP's Alternative Medicine & Holistic Health Awards.